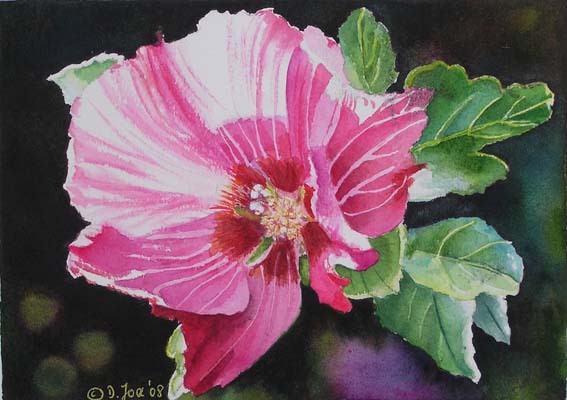 Beside my work on my new Rosesblog I have painted some small watercolors. Some Gladiolas and a Pink Hibiscus. Both are having the size 5×7 inch. 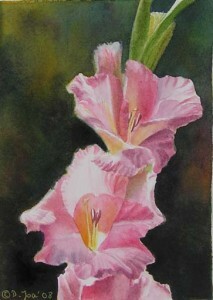 The Gladiolas are painted on hotpressed watercolor paper and the Hibiscus is painted on coldpressed paper.